Shattering the relative calm in West Jerusalem, a non-violent, guided missile slammed into the Israeli Knesset building last night. A few blocks away, the windows of the residence of Israeli Prime Minister Netanyahu were reported to still be rattling, hours after the initial impact. Thank God there were no fatalities, however several Israeli bank CEOs and Chairmen were admitted into Israeli hospitals for 48 hour observation. Initial screams of ISIS, Hamas, and Hezbollah were replaced at the crack of dawn when it was clear that the source of the missile, registered by a U.S. intelligence satellite, was the EU. Yes, the EU. The exact location was unclear, but intelligence sources are sure the missile was launched from one of the following cities: London, Paris, Berlin, Madrid, Rome, Sofia, or Warsaw. Unidentified IDF sources confirm that the commissioning entity was The European Council on Foreign Relations (www.ecfr.eu). This book will go down in history as a monumental recording of the Israeli History Industry for generations to come. At its core, the book is a snapshot into a decade of inner Israeli dynamics, from 1990 to 2000, when the basic assumptions that Israel propagated for decades about how the 'miracle' of Israel came into being started to be challenged. The history of how this decade was reached is as fascinating as how horrific has been its aftermath. Except for its last chapter, this book is not for everyone. Israeli historian, Ilan Pappe, takes the reader through the maze of knowledge creation in Israel and how that journey has interacted with power. The invaluable intellectual contribution and framing that Professor Pappe provides cannot be overstated. He documents for all serious researchers who follow how the dust (or more like blood) of Israel's foundational moment has yet to settle. The events in and around 1948 that led to the creation of Israel and the colossal loss of Palestine were such a historic tragedy that even the well-oiled Israeli and Zionist public relations machines have been unable get traction to settle the historic account. In today's messy and distracted world, those who write (or for that matter, make films and movies, produce theater and art, compose music, write poetry, and the like) frequently have a moment when they question the value of their creative works. Well, Professor Pappe makes it abundantly clear where all these creative works fall in the bigger picture and why it is of utmost importance that we never lose sight that every progressive act of creativity which speaks truth to power is a data point towards rectifying the injustices of the world. When the injustice is the source of a nation's creation, the process of correction is excruciatingly slow, but inevitable if strategically addressed. The last chapter of The Idea of Israel is titled, "Brand Israel 2013". This is a brief but shockingly telling account of how much money and brain power Israel is willing to dump into a bottomless bucket while trying to force feed a fabrication into mainstream knowledge. The notion of actually correcting the historic mistakes, any of them, is not even considered. 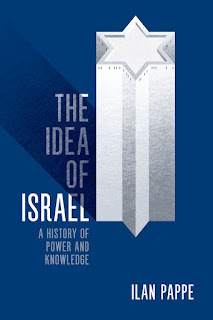 If you are a Jewish-American and have been blindly consuming your institutional, mainstream "idea of Israel," read this book. "We live in a fish bowl in which our lives are totally transparent to the occupation," says Bahour, today the managing partner of Applied Information Management. "When the fish get agitated, they throw us a little fish food. Never enough that the bellies of the fish are full, but just enough so that we never collapse. Israel is 100 percent responsible for every single strategic, economic asset that affects Palestinians." KHALLET SAKARIYEH, West Bank – From the rooftop of a house in this tiny Palestinian village wedged between several settlements in the Gush Etzion bloc, a group of American Jewish visitors look down on a ramshackle primary school covered by a corrugated tin roof. The school was built on the villagers' own initiative, and has an IDF demolition order hanging over it. The visitors' eyes then look up to the gleaming new schools on a nearby hill in the Alon Shvut settlement. One can't help but notice the contrast: The gleaming, large school buildings in Alon Shvut are a vision of privileged, first-world Israel, while a separate population within shouting distance makes do with third-world facilities that could be torn down at the army's will. Afterwards, in a conversation with Palestinians in the village, the American visitors ask some basic questions. What language do the village's children learn in, one asks. Could they not just go to school with the kids in the Jewish settlement next door? It's a perhaps reasonable question for someone coming from America, where it's been more than 60 years since separate but equal schools were declared inherently unequal by the Supreme Court. But the everyday inequalities of life in the West Bank are unfamiliar to the average American. Matters such as the quality of school your child goes to, the amount of water available to you, and the number of hours you'll wait at a checkpoint to go to work in the morning are just a few of the issues that define life for Palestinians. These are realities that few American Jews coming to Israel will see, unless they travel far beyond their comfort zones – or sign up for a program with Encounter. Founded a decade ago, Encounter describes itself as "a non-partisan educational organization cultivating informed and constructive Jewish leadership on the Israeli-Palestinian conflict." Largely avoiding the limelight and gaining participants by word of mouth, it has quietly become a key route by which a new generation of American Jews meet Palestinians, learn about the realities on the ground, and come to new conclusions about the conflict – ones that don't necessarily meet up with the establishment's. "The Jewish community is a major stakeholder in the region," explains Yona Shem-Tov, Encounter's executive director. "But most people who teach or lead have not been to a Palestinian city or met a Palestinian leader. Encounter facilitates people having first-hand opportunities to do that." In the process, it brings together Jews with vastly different views at a time when support for Israel has never been so divisive. Progressive Jews are increasingly questioning the mainstream Jewish organizations' blanket backing for Israeli policy, while right-wingers see the ascendancy of the BDS movement as so threatening that Sheldon Adelson, a major backer of Prime Minister Benjamin Netanyahu, held a summit last month to raise millions for a new movement – dubbed Campus Maccabees – to combat the boycott, divestment and sanctions campaign. "We as Jews are not talking enough to people with different opinions. We gravitate to people with similar views," Shem-Tov tells a group of Encounter participants on a recent Sunday morning before leading them on a trip in the Bethlehem area. "This can get to a place where it's ripping apart communities. Encounter seeks to be an honest but hopefully meaningful experience on that front." Though Encounter's target audience was young North Americans Jews studying in Israel on year-long programs, more established groups started to take notice and asked to come on trips, too. "American Friends of Likud and American Friends of Peace Now and J Street are all alumni, but they never sat together until we had them at the conference table on an Encounter trip." Encounter began about a decade ago when four American women studying in Israel – two as part of their rabbinical ordination programs – wanted to enable young American Jews to go beyond Jerusalem's cozy study halls and meet Palestinians on their own turf. Melissa Weintraub, Miriam Margles (now both rabbis), Shana Tabak and Ilana Sumka starting quietly taking groups of students, many of them in training to be the next generation of rabbis, lay leaders and professionals in the American Jewish community, to hear Palestinians talk about life under occupation. As part of the journey, they studied Jewish sources on listening and mutual respect, and even allowed students prayer time and access to kosher food if necessary. They also created communication guidelines that, as Sam Bahour, a frequent Palestinian speaker on the program puts it, "require the Jews to do most of the listening and the Arabs to do most of the talking." After each speaker, the participants are given a chance to ask questions, and have ample opportunity to "process" the experience afterwards, individually and in groups. The guidelines somehow manage to keep difficult topics from descending into arguments or accusations. Most trips are at least two days long, with participants afforded a chance to stay in Palestinians' homes. So, for example, during this particular Encounter trip in the Bethlehem area, participants heard Suzan Sahori talk about the difficult experience of growing up during the first intifada, raising her young daughters during the second intifada, and viewing the grim reality today, as her daughters finish college and struggle to see a future for themselves here. "I remember the soldiers entering our home when I was a child. The soldier wanted me to lift the lid on what we explained was our well. He didn't believe us so he spit in it," Sahori says, describing a memory of humiliation that has stayed with her. "My father was jailed. My brother was jailed six times. There are so many regrets I hold in my heart for the occupation." She spoke alongside Mohammed NasserEddin, the Ramallah-based director of Seeds of Peace, who also told of his intifada experiences, and how he came to where he is today: working on Israeli-Palestinian peace, but worried for his children's future. "I am not willing for my children not to feel at home in their homeland," he told them. "This is a cake that needs to be shared – I don't think it's impossible for them to break this down into an agreement for two states." This particular Encounter trip also included a visit to the West Bank village Batir, during which participants learned about various water and land issues. Mohammed Obidallah, the project manager for EcoPeace Middle East, explained it this way: "In settlements there's water flowing all the time, for swimming, for gardening, while Palestinians here are always asking, 'Who's got water today?' because there isn't enough." The Oslo Accords set up a Joint Water Committee to work on these issues, but it hasn't met in five years." Then, to hear a far more blunt Palestinian viewpoint on everything that not only failed in Oslo but was perhaps flawed from the start, Bahour, a Palestinian-American businessman, tells the group about his experience of coming to the West Bank some 20 years ago to start the first Palestinian telecommunications company. Israel, he says, kept this company – and the Palestinian economy overall – from developing. One participant raises a hand and asks if Bahour thinks BDS is the answer. "I'm glad I get this question a lot because it makes me believe something's working," he says. "We have to find a way to nonviolently levy a cost on that occupation," says Bahour, who was born and bred in Youngstown, Ohio. "Give Israel the headache you think it needs." Encounter certainly does not endorse BDS nor any particular solution to the conflict. Neither are the participants expected to walk away "converted" to a new worldview. But it would be hard for anyone to go on an Encounter trip and not find themselves questioning whether a continuation of the status quo is a viable, ethical strategy. "This isn't Israel's fault – there wasn't anyone to give this land back to when they took it," says Joseph Kahan, a retired scientist who lives in Boston, at the end of his Encounter trip. "But I guess I'm more formally convinced than ever that a two-state solution is the only solution to stop this hatred." One of Encounter's veteran funders is the Dorot Foundation, which has been running a fellowship program in Israel since the early 1990s. Steve Jacobson, director of the Dorot Fellowship in Israel and a board member of Encounter, came on the recent trip and described why he supports what they do. "The occupation – like it or not – has become among the defining elements of the Zionist enterprise," says Jacobson, who lives in Rhode Island. "To be ignorant of its ramifications, both for Israel and for the Palestinians, is irresponsible. As much as I'm invested in the humanity of Palestinians, I'm even more concerned for the security and the well-being of the State of Israel, and I believe that the status quo is a threat to the continuing existence of a democratic Jewish State and its capacity to thrive." Imbalanced, or correcting an imbalance? Not everyone who comes on the program walks away feeling edified. The focus on hearing just the Palestinian side of the story, says one participant on this recent trip, didn't work for her. "For me, it undercuts their credibility to tell half the story and leave out the other half which shows why something happened," said Marian Scheuer, the CEO of FedArb, a San Francisco arbitration firm. For example, the visual comparison of the two schools – the ramshackle one in Khallet Sakariyeh and the luxurious one on the Alon Shvut hilltop – wasn't a fair comparison, she said, because the population of the village was much smaller. "I'd like to hear the facts in a more balanced way instead of feeling they are purposely misleading the people who come to hear their side of the story," she says. "I think the instinct to talk to Palestinians is important, but I find the propaganda spin artificial to the point where you can't know anything like the real story because what they are saying is clearly not the whole story." But Leah Solomon, Encounter's regional director, says the point of Encounter is not to provide a comprehensive window into the Israeli-Palestinian conflict. "Our approach intentionally provides opportunities for participants to hear Palestinian voices, which they don't otherwise know how to gain access to. We're not presenting Jewish speakers. American and Israeli Jews are well acquainted with Jewish perspectives on the conflict and have opportunities and resources to access them on their own. So in that sense, we are not trying to be 'balanced' or to give a neutral or all-encompassing perspective on the conflict," Solomon says. "We explicitly acknowledge that this is not the be-all, end-all. We don't ask participants to abandon what they already know about the conflict, and we want them to continue learning after the trip. But we do strive to ensure that Jews are hearing from a diversity of Palestinian narratives and perspectives, which we believe are essential to be heard and grappled with by the Jewish community." 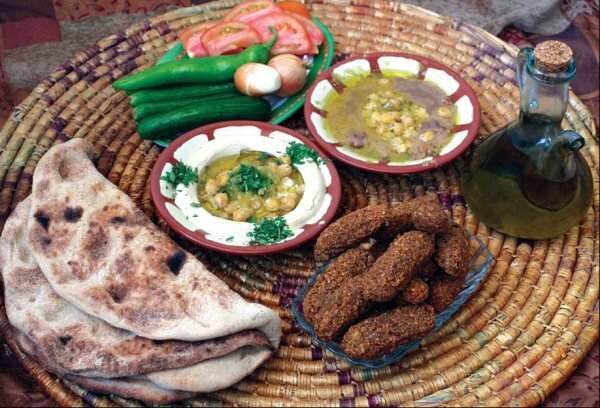 Your donation will help Americans for a Vibrant Palestinian Economy (AVPE) link Americans and Palestinians through business partnerships and positive investments.